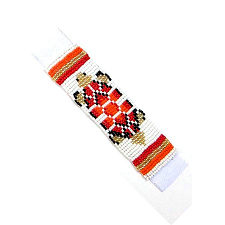 This hand beaded Orange Turtle seed bead strip has an iron on backing. This Orange, Red, Black, Gold and White seed bead strip measures 4 inches (10.2 cm) long by 1.25 inches (3.2 cm) wide. 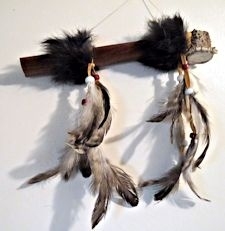 This product was added to our catalog on 01/20/2019.